Where do you begin? 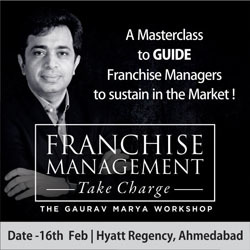 Are you franchisable? What will franchising do to your business? How much will this cost? What steps do you need to take? So Many Questions To Be Answered How do you determine if you're franchisable? What are the business advantages? What effects will franchising have on your current business and staff? All of these are important questions when it comes to your company's future. Take this quiz to evaluate your business, and to determine it's possible for you to succeed as a franchisor. Then use our checklist to get started on your way. The Keys To Successful Franchising The primary keys to becoming a successful franchise are to have an effective system in place, and to avoid the most common mistakes. Knowing how to sell your franchise is another important key, just as knowing the other available options in franchising and business growth. It's not just about timing, it's about knowledge. Thirty Years and Ten Thousand Companies Later Knowledge, and 30 years of success, are what Francorp can give you. 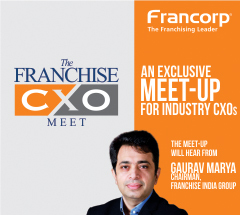 Francorp is the leader in franchising. Our proven method, plus in-house training and support from our franchise consultants, will lead you step-by-step through the process. We can help you anticipate the total cost of franchising your business. Our extensive experience can keep you from violating the registration process in different jurisdictions. And our marketing copy will help entice perspective buyers to explore your opportunity without violating franchising laws. All of this, all under one roof. 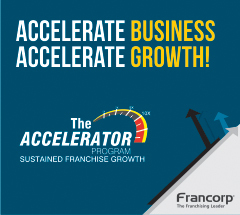 Read one of our success stories, or contact one of Francorp's Franchise Analysts so they can help you get started on your road to successfully franchising your business or idea.